Petzone is a premier pet retail and distribution company available in UAE and Kuwait. It offers a wide selection of high standard pet supplies, services, solutions, and expertise to enhance pet care by providing the best leading international brands on its online store. 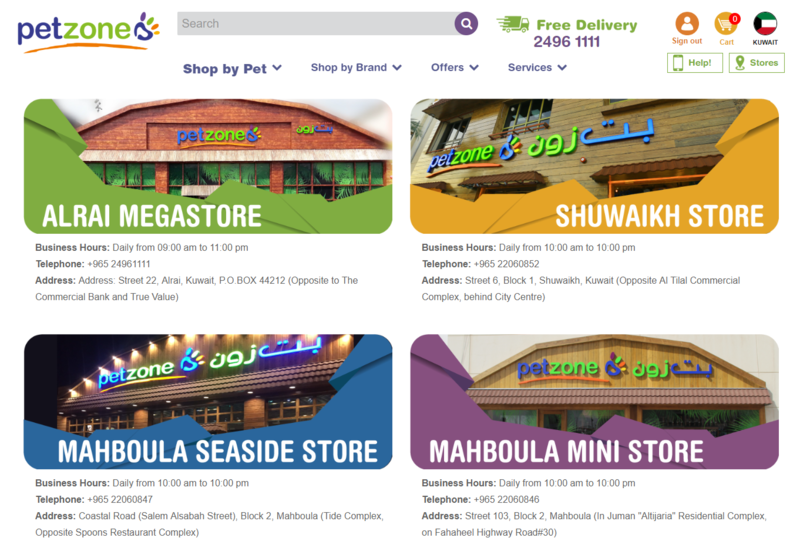 Petzone has multiple physical stores present in the UAE and Kuwait countries. From its online shopping website, the customers can search and buy products according to pet, brands, and services. 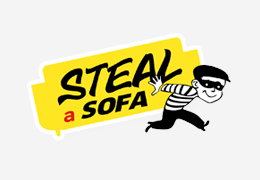 It also accepts phone orders as well and provides free delivery to various locations. 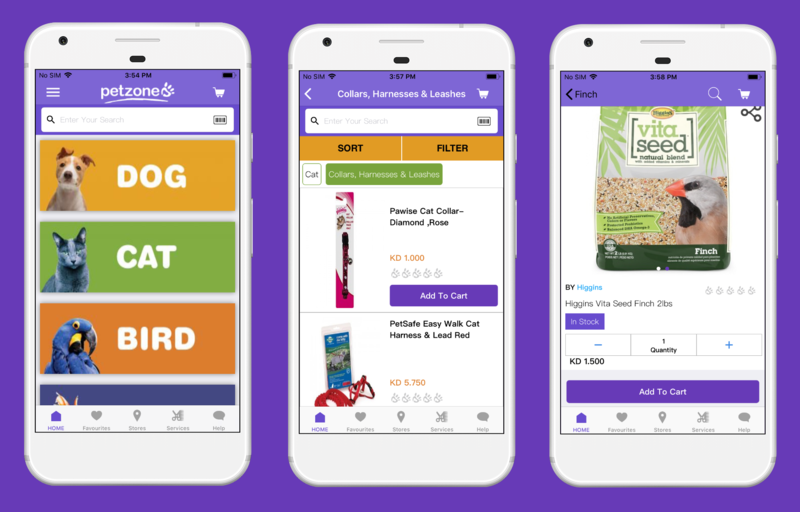 Rami R. Kilani is working as an IT Consultant in Petzone Kuwait, he was looking for a mobile app for the Petzone e-commerce store. He came across Webkul Store and bought Mobikul Mobile App Builder for Magento, in this both Android and iOS apps are provided. Petzone online store is built on Magento 1 Community Edition platform. It is one of the most used and recommended opensource e-commerce framework for building an amazing online shopping cart website. Magento platform is very useful for displaying content in multiple languages using store-view & multi-store functionality. Further, multi websites, sub-domains, multi-stores features give additional advantages over its competitors. 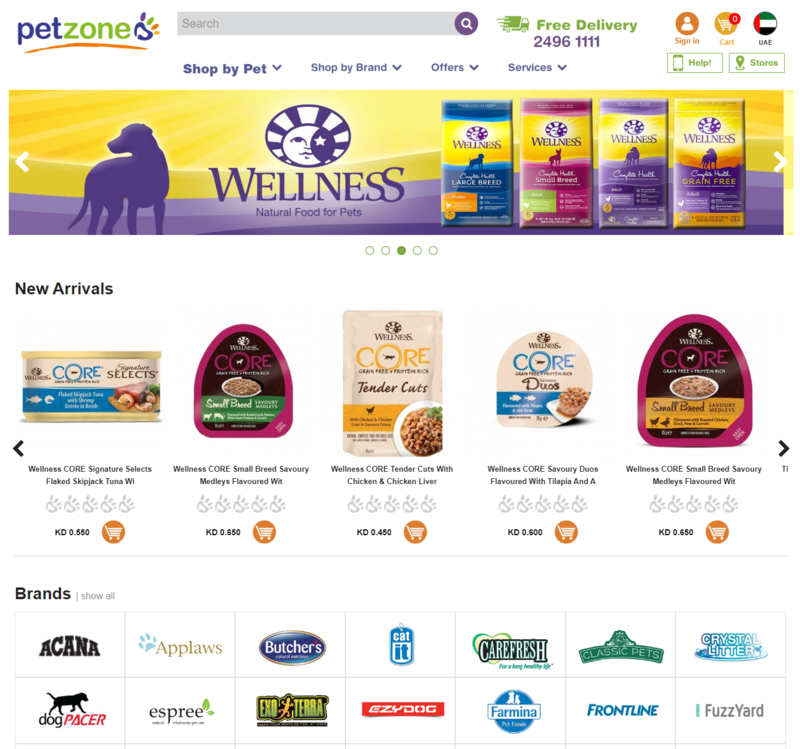 Petzone online store was built for two separate countries - Kuwait and UAE. Mobikul App also supports the multi-store view and multi-website functionality as well. Once we received the prerequisite data for building the app, the work started and the Android app was developed & tested within a week's time. We shared the first APK build with the Mr. Kilani, after testing it himself, he suggested few changes to our app developer and also discussed the upcoming customization work with the sales team. KNETPAY is KNET’s Payment Gateway solution for Kuwaiti merchants and service companies with e-commerce capabilities. The service supports KNET co-branded ATM card transactions over the web. Mr. Kilani wanted to integrate Knet and Credit Card payment gateways into the app. With the growth of mobile commerce, customers are now able to do a complete purchase process over the smartphone. From the app itself, you can make an online payment using various gateways. Apart from supporting a long list of payment gateways, Mobikul team provides one free payment integration to the clients. We requested to provide Knet API documentation for mobile SDK (software development kit), but due to unavailability of the same, our developers then had to implement Knet payment gateway using WebView technology. In WebView, the information is passed on to the server and a page opens up in the mobile app which is similar to the desktop website. But the payment actually happens on the server only. Apart from Knet, MiGS payment gateway module was also integrated into the app. With the help of this integration, customers were able to pay for products via. credit cards issued by various banks. 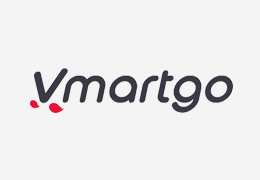 The MiGS payment method supports all banks that use its system, among others: ANZ eGate, CommWeb (Commonwealth Bank), Bendigo Bank, Suncorp Virtual POS, Bank of Mauritius, and many others. 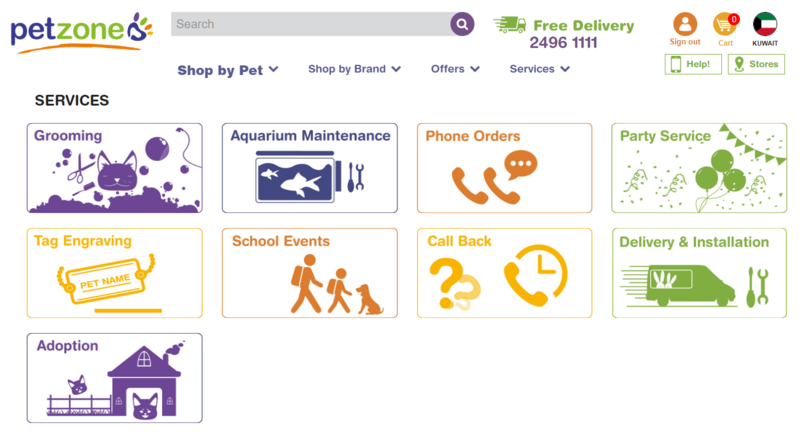 As mentioned above, two separate Petzone websites were there for customers, one in UAE (https://www.uae.petzone.com/) and other for Kuwait (https://www.kuwait.petzone.com/). 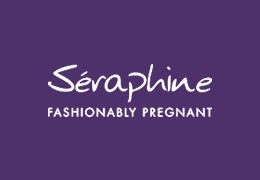 Both the websites were converted and implemented into the one single mobile app. 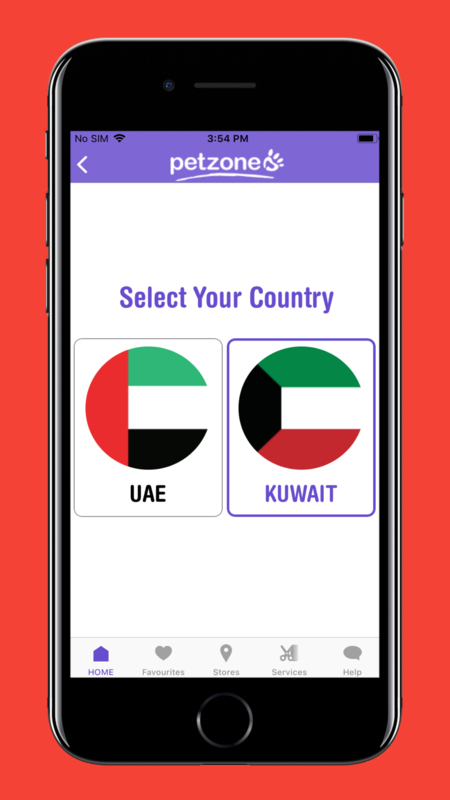 A new option "Select Your Country" was available, where a customer can select the country and then browse the products, website wise. Only the products that are available on the particular site are shown in the app. All the data is synchronized according to the multi-website configuration. 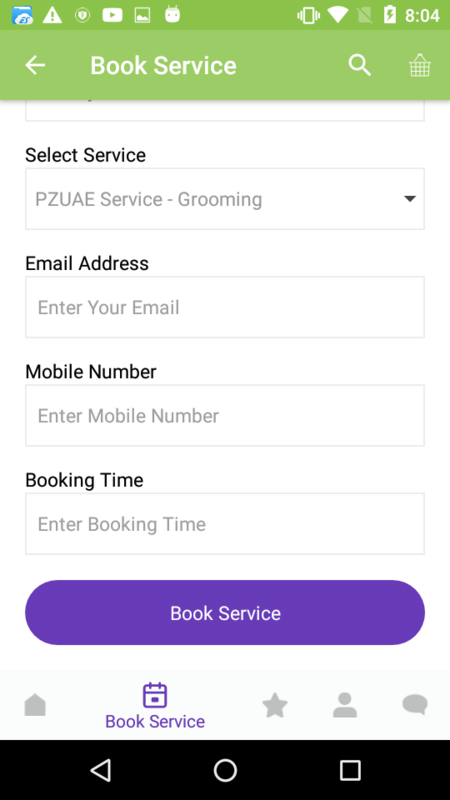 As Mr. Kilani was personally managing Petzone mobile app project, he made sure that all the modifications and customizations requests were done perfectly. He gave various suggestions and ideas to make the Petzone better and better. From changing font style, images & banners, icons, page layout, color scheme, adjusting height/width, and text labels. Everything was done as per the detailed requirements recommended by Mr. Kilani. With the help of markup screenshots, he explained all the workflow needed to make this app more user-friendly and easy to navigate for customers. Barcode search feature was also added in the app, allowing customers to search for products using the phone's camera. The barcode scan search works similar to a text search system. 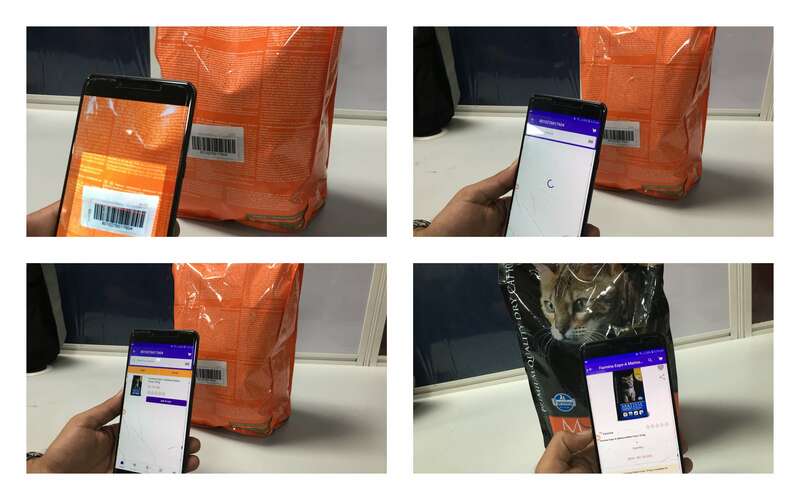 So instead of typing into the search box, the camera scans the text printed in the barcode and shows the product results that are relevant. Linking to Petzone's social media channels - Facebook, Twitter, and Instagram was done. 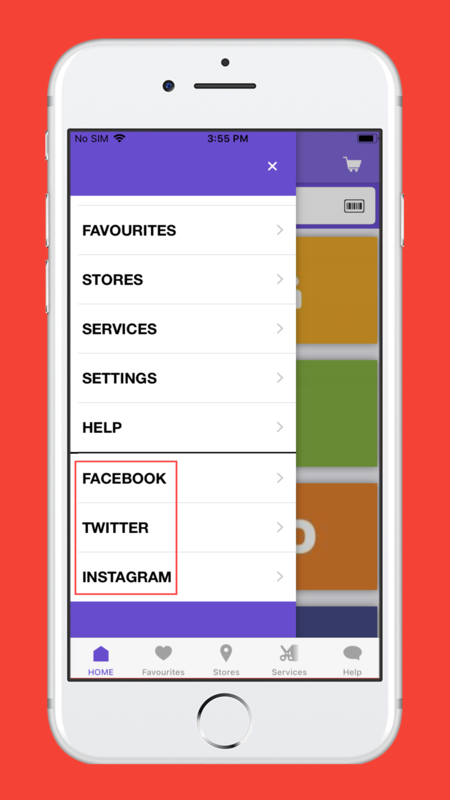 From the left drawer menu, a customer can click any social media option and it will open the installed social media app automatically. 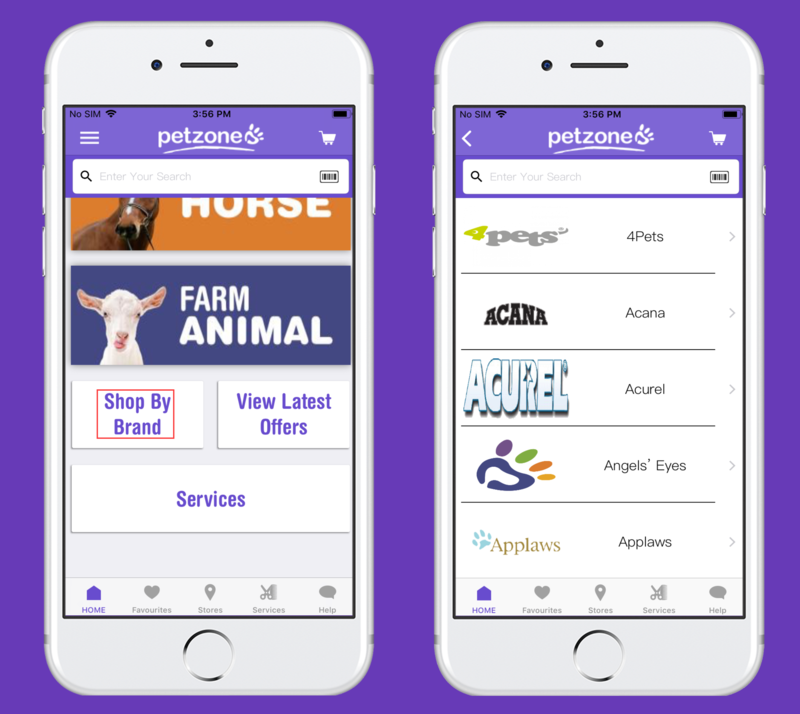 After opening the social media app, the customers are quickly redirected to the Petzone's Facebook page, Twitter, or Instagram profile accordingly. If the social media app is not installed, then the social media link is opened in the web browser. 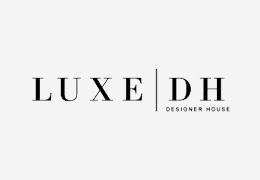 A third-party extension is installed on the website, Shop by Brand which allows the customers to browse the products according to the brands. The same functionality was also needed in the app as well. Mobikul apps are completely customizable, it supports all the third-party web modules. For managing the brand images, we added a Mobikul menu option in the Magento admin panel. From there, the store admin can easily add, upload, or delete mobile app brand images. 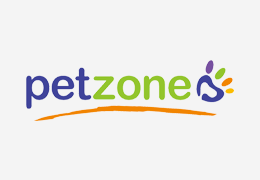 There are many Petzone physical stores available in Kuwait and UAE, where customers can go and purchase the products directly. For finding the nearest available store, the customer can go to the "Stores" section on the website and see the contact information (address & phone), Google Maps location, timings, and services available. The above feature was also added in the apps and an option in Magento admin panel was provided for managing stores section in mobile apps. The store admin can add Google location, store address with images, available services as banners. This was a completely native solution for mobile phones. Petzone provides various types of pet care services to its clients such as - grooming, aquarium maintenance, party services, tag engraving, delivery & installation etc. From the website, the customer can see the complete detailed information about a particular service with prices. Native CMS pages were created for mobile apps and banner image of services was shown just like the website. Once the customer clicks at any service banner, it would navigate him to the service page which shows all the details. Another third-party module was installed for allowing customers to get email notifications when out-of-products got back in stock. 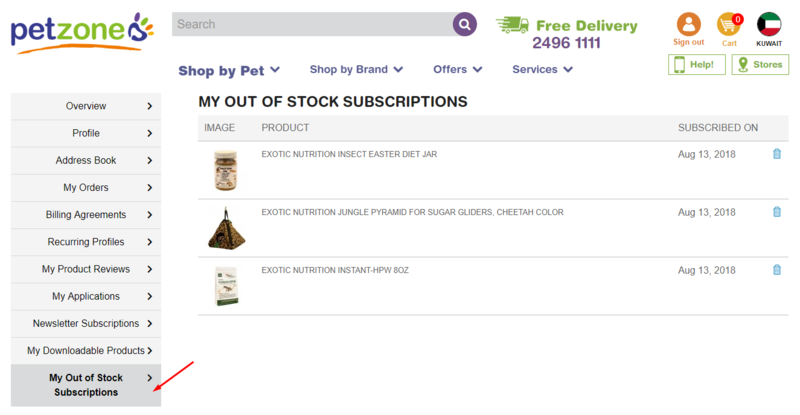 A logged-in customer can simply go to out-of-stock product page and click the Notify Me button. This same feature was also implemented into the mobile app, the customers can subscribe to out-of-stock products and can check the subscription list from the My Account section. Booking feature was not available on the website, but Mr. Kilani wanted to have a book a service functionality in the mobile app. Using this, the customer can select a service, choose a preferred date & time, and enter their contact details. After that, an email is sent to the store admin mentioning all the booking details. 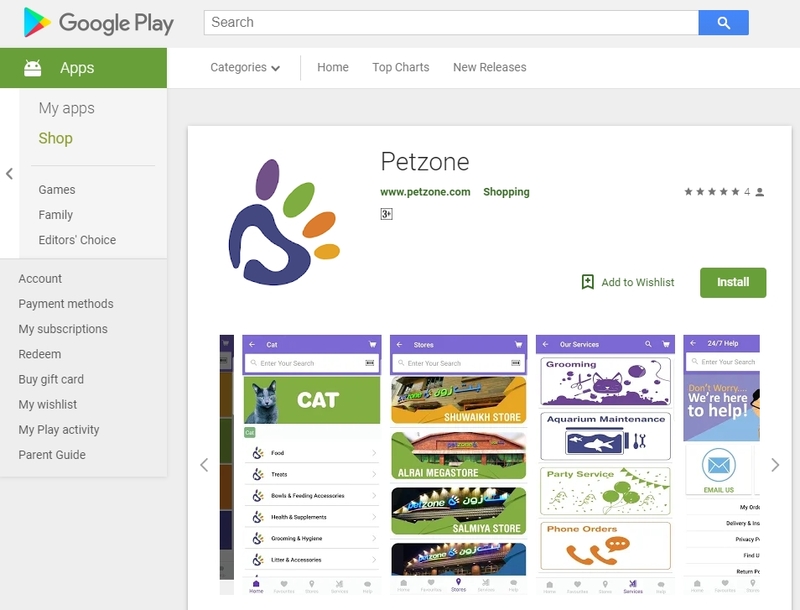 Petzone Mobile Apps have been now developed and published on Google Play, the iOS mobile app is still under review and will be available on the Apple App Store soon.